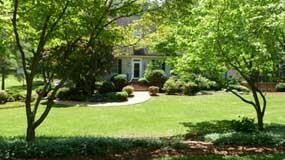 Dos Amigos provides full-service annual property maintenance contracts. You pick the services you want and let Dos Amigos do the work. We’ll keep your property looking great all year. 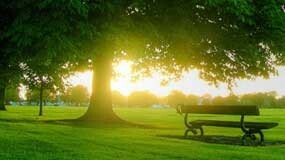 Dos Amigos takes care of commercial properties, residences and estates. 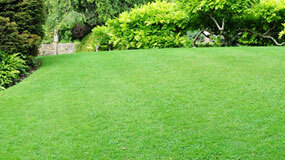 We provide scheduled turf care and mowing services as part of a comprehensive turf care program. Architectural and Landscape Lighting can enhance the pleasure of your outdoor spaces and improve the value of your home. 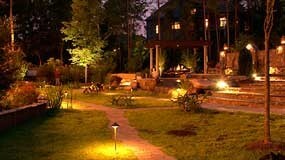 Dos Amigos is your Charlottesville Landscape Lighting Specialist. Dos Amigos can help design and build brick, slate, stone and block patios, walkways and retaining walls. Walkways and steps can be constructed of materials ranging from gravel to upscale stone varieties. Dos Amigos offers complete leaf removal services and gutter cleaning. Our crews use high powered blowers to move the leaves into wooded areas or the leaves can be vacuumed on to our vacuum trucks.